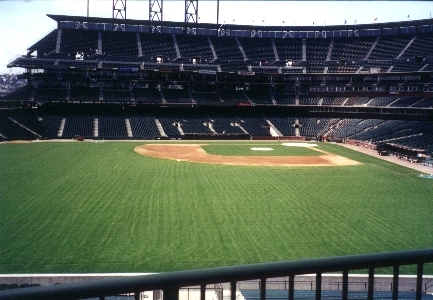 This is the view from the Fan Lot, in left field. Nice view from out here. Don't you wish your lawn looked that nice?